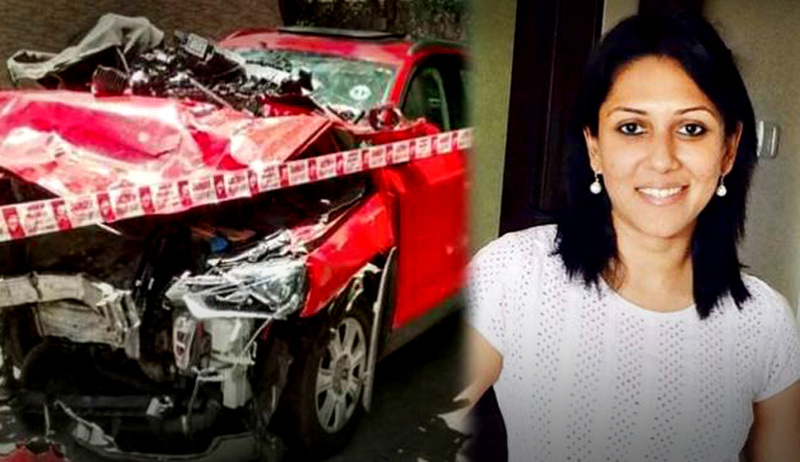 The sessions court in Mumbai today, granted bail to corporate lawyer Jahnavi Gadkar in connection with the drunk driving case, on a surety amount of Rs 30,000.Two persons were killed when Audi driven by JanhaviGadkar, who was allegedly drunk at that time, rammed a taxi. In her statement to the police, Gadkar, who had rammed her Audi into a taxi on Tuesday, killing two people, who were identified as Mohammed Abdul Sayyad (55) and Mohammed SalimSabuwala (50), and injured four others, she has admitted that she was under the influence of alcohol, had driven rashly and on the wrong side. Her statement to Police can be read here in a report by Mid Day. The counsel for Gadkar, Advocate Amit Desai reportedly submitted before the court that continuing her custody after 57 days in jail and completion of investigation will amount to punishment before trial being imposed. He said. "At every stage while opposing bail, the prosecution in its reply has mentioned that she is a qualified lawyer. Is that a ground to deny her bail? One has to also appreciate that she comes from a humble background and made something of herself”. He also told the Court that the investigation in the case was over and no purpose would be served by keeping her in jail.The Kurla Metropolitan Magistrate had rejected her bail application twice when she filed them last month.